TNG Wallet continues to extend its influence in Hong Kong by partnering with convenience chain 7-Eleven to make available top-up, payment and cash withdrawal services across more than 900 7-Eleven outlets in the city. The arrangement brings TNG Wallet’s global network of cash pick-up points up to over 180,000. Holding a Stored Value Facilities license issued by the Hong Kong Monetary Authority (HKMA) in August 2016, TNG has not limited its influence and ambitions to the Hong Kong. Since its founding in 2012, it has built a service infrastructure and network that offers a number of financial services including global remittance, person-to-person (P2P) money transfer, global bill payment, global SIM card airtime top-up, foreign currency exchange and purchase, and cash withdrawal. With over 600, 000 downloads of the app, TNG’s founder and CEO Alex Kong claims its continued success lies in its focus on user experience. The collaboration with 7-Eleven continues this tradition. “By pairing 7-Eleven's extensive store network with the strong functionalities and convenience of TNG Wallet, we aim to make financial transactions as easy and as user-friendly as possible. In addition, we can now provide a very reliable and accessible 24×7 channel, especially for those in sub-urban areas that do not have financial services infrastructure,” he explained. 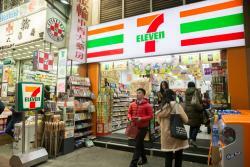 Karen Lam, e-business and service controller for 7-Eleven in Hong Kong and Macau, called the collaboration a ground breaking convergence of retail and Fintech. She believes that this collaboration will upgrade its customers’ in-store experience. TNG Wallet allows users to make cash withdrawals of up to HK$500 for each time anytime at any 7-Eleven store in the city. Advanced service such as cash withdrawal is limited to verified SVIP and VIP users. Users can register for a SVIP account through a simple face-to-face identity process that takes around 15 minutes, whereas to register for a VIP account, users only need to upload their ID card copy digitally through the TNG Wallet platform. TNG’s financial inclusion ambition extends beyond the borders of Hong Kong. To date, verified TNG Wallet users can remit money instantly to anyone in the above countries with or without a bank account, and recipients receive money into their bank account or receive or withdraw cash from over 180,000 cash pick-up points globally. “We are accelerating our pace to build a global e-wallet FinTech service network, and paying close attention to different technological and business development opportunities, especially in countries along the ‘One Belt, One Road’ route,” TNG's Kong said.